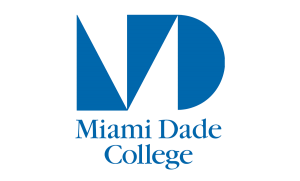 Welcome to Miami Dade College West Campus, conveniently located just off the Florida Turnpike, amidst the City of Doral logistics hub. Doral is the leader in logistics businesses in Miami and is a rapidly-expanding community in Miami Dade County. As you browse through our website, you will learn about the various programs we offer, including Business, Accounting, Computer Science, and Criminal Justice. These programs meet both the educational and training needs of the community we serve. At the core of our mission is to help students excel and succeed. Our highly qualified faculty and staff are committed to providing a quality education and serving the community. Our faculty provide a support system through which students receive free tutoring services and are mentored by faculty who truly guide them on pathways to success. Our staff is dedicated to students and provides support with financial aid, registration, advisement, career services, and technology to ensure that their time at West Campus is enjoyable and one they will never forget. Come and visit West Campus today and see for yourself! Engage! Experience! Excel!